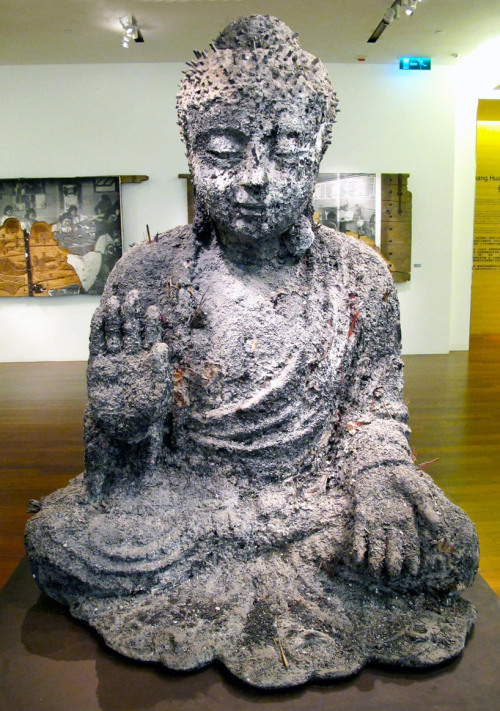 Sculptures of religious figures made from the ashes of pilgrims' incense. 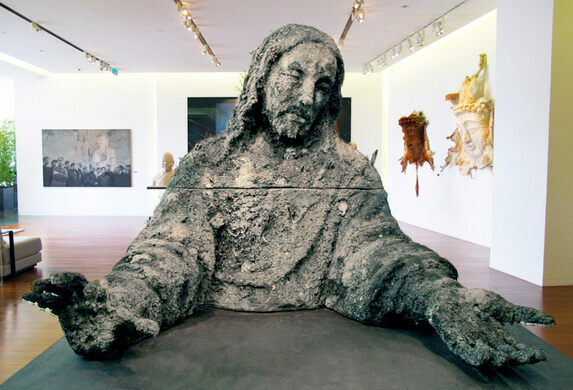 Using the resurrected ashes from temple incense in Shanghai, Chinese artist Zhang Huan created the torsos of two of the most prominent religious figures in the world. 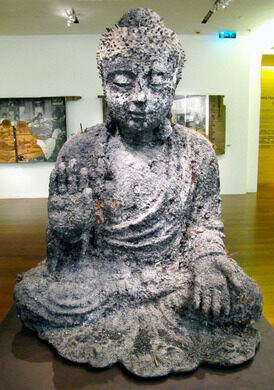 Standing over 8 feet high, Ash Jesus and Ash Buddha were recently displayed in Macau. 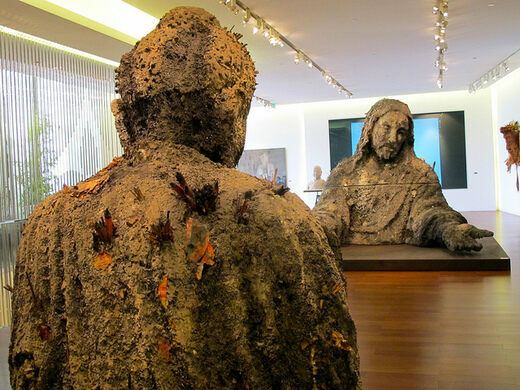 In a kind of religious showdown, the figures were installed facing each other; Jesus with hands outstretched, and Buddha sitting cross-legged, the perfect embodiment of tranquility. This aquarium has almost as many world records as it does fish.